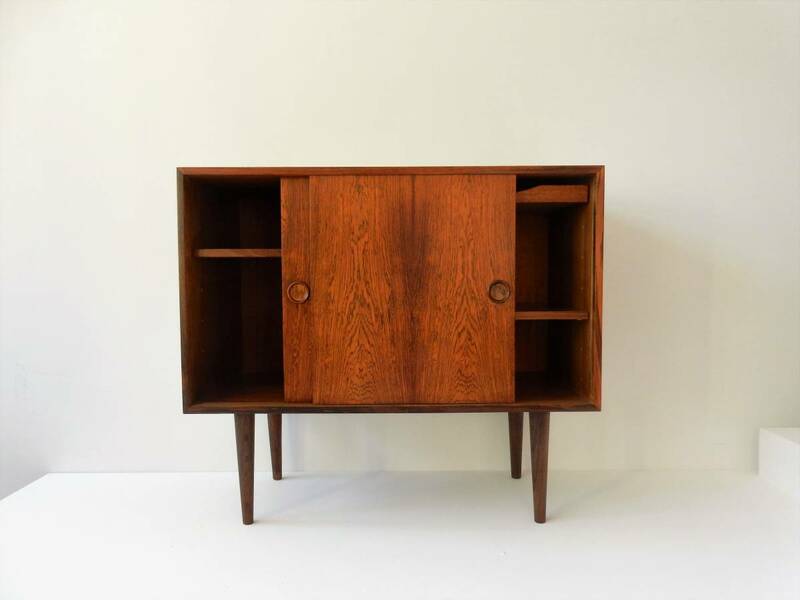 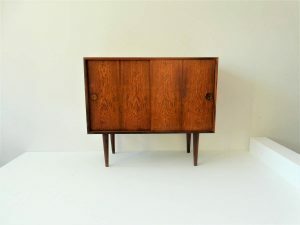 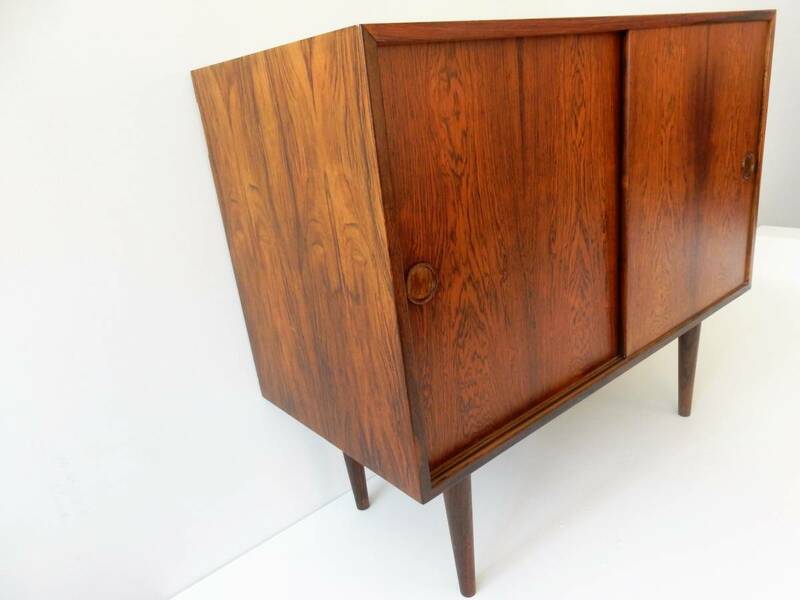 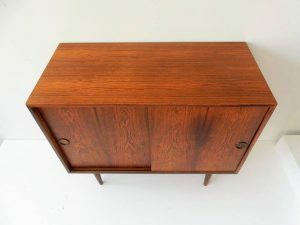 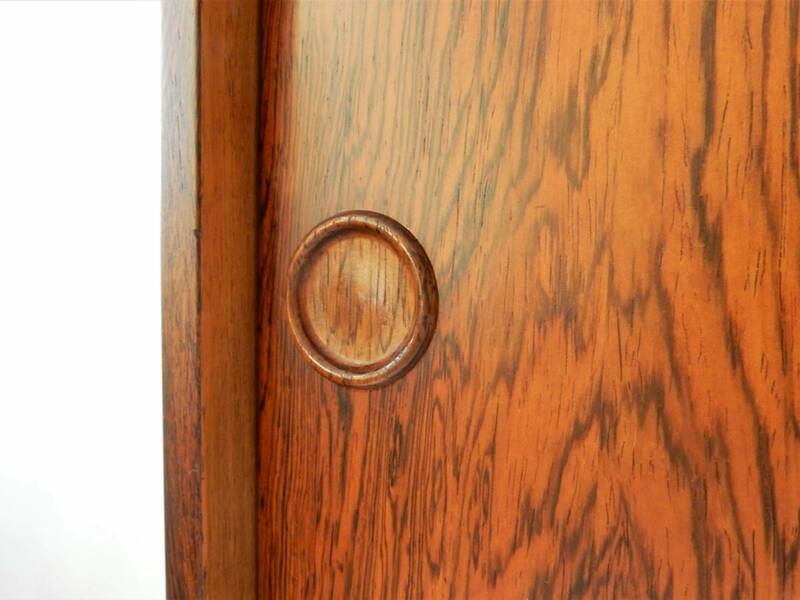 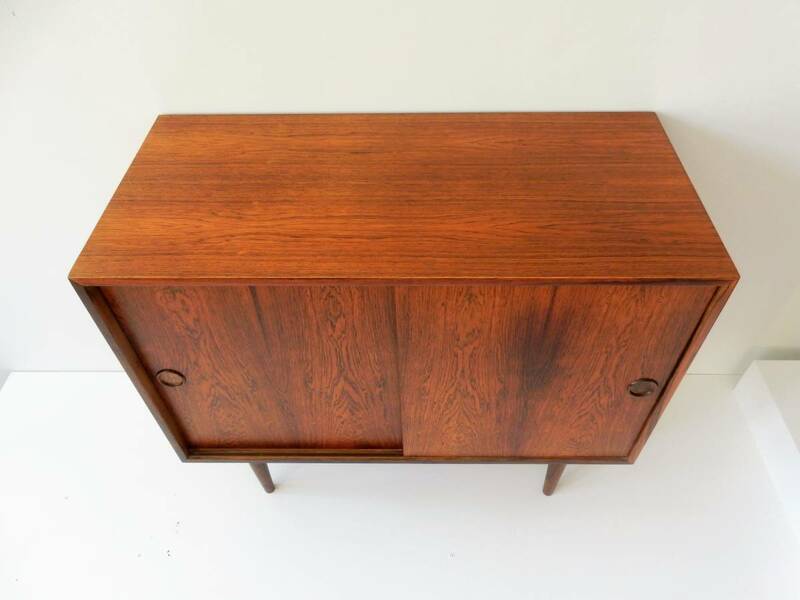 This rosewood cabinet was designed by Kai Kristiansen for FM Møbler in the 1960's. 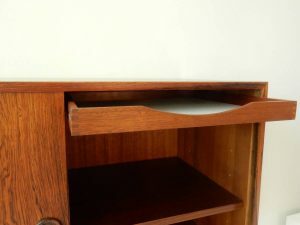 It has two sliding doors with two shelves and one drawer. 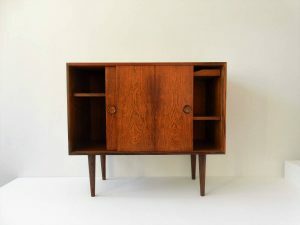 Originally this cabinet was part of a wall unit, but it is also a beauty standing on its own. 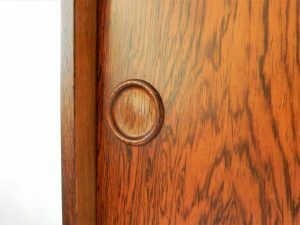 The cabinet is superficially restored and in a very good condition with minor signs of age and use.